Our smart licensing model allows you to find the appropriate terms either you develop a small app for internal purposes, or build big SaaS or enterprise solutions. No hidden limitations or fees. DHTMLX products are trusted by software giants, market majors in service management, resource-saving technologies and electronics, as well as numerous small and medium companies. DHTMLX provides top market software products for more than 10 years. During this period we have shown yourself as a proven vendor of high-quality libraries and other developer tools. The library includes more than 20 professionally designed, customizable JS UI components that cover nearly all web app needs. Among them you'll find data grid, tree, form, menu and more. Easy customization that provides you the ability to change tasks view based on your needs. The component has simple API that provides a short learning curve. The ability to print a full-sized gantt chart in PDF, PNG, Excel, CSV and MS Project. 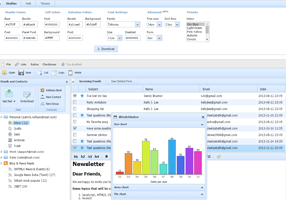 Wide range of powerful features that are essential for event calendar users. Online export service that allows you to export your calendar to PDF or PNG formats and print it. High performance that allows working with large amount of data. Sorting and filtering features help you to manage data and display the needed info in seconds. 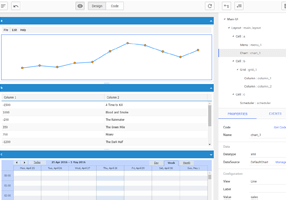 Fully configurable elements of a pivot table let you simply modify its look and feel. Build numerous types of diagrams like org charts, flowcharts, decision trees, block diagrams and plenty of others to visualize data in a hierarchical structure. 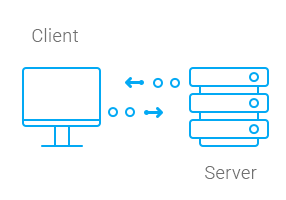 Just a few steps to integrate the diagram into your solution and use with any server-side platform. Customize look and behavior of the component with ease and let end users edit diagrams on the fly in the edit mode. Qualified support and development team is ready to provide our customers fast technical help by diving deep into the problems. Moreover, you are always able to get access to the dev build with latest hotfixes for our UI widgets. Users without active support period can get help in our community forum. The registration is free. The forum is also monitored by our support team so you can get professional help there. Your software is the most professional one I've seen for the last few years. Your support team is fast, friendly and highly competent - and above all I am very glad that even your prices are fair and affordable. With DHTMLX, you get quick solutions with a simple approach. Thank you for a very impressive framework. It is amazingly easy to create stunning applications I must say. You can accomplish so mush with so little code. Five stars from us! Extremely lightweight for the browser compared to our existing custom-built Gantt chart, and has all the necessary features. The most appreciated features of the DHTMLX library are the perfectly integrated set of standard user interface components, a well designed API easy to understand and the really extensive documentation that really speeds up the development.